A new iOS 9.3 bug has appeared in the wild affecting many users running the said firmware on latest devices such as iPhone 6s and iPhone 6s Plus. Some users on older devices running iOS 9.2.1 have also reported the issue so it doesn’t look like it’s specific to one firmware version or device. While Apple hasn’t acknowledged the problem yet, Apple Support forums are flooded with many users complaining about this issue where web links in Safari, Mail, Messages and some other apps either simply refuse to open, cause a freeze, or crashes the device completely. Long-pressing the links in Safari also seem to trigger a crash. What is strange about this bug is that not everyone appears to be having this problem. We have tried to replicate the problem over a range of new and old iPhone and iPad models running iOS 9.3 but couldn’t reproduce it at our end. Apple released iOS 9.3 last week, bringing in a ton of new features and security fixes. This is apparently not the only bug in iOS 9.3. Late last week, a bug was discovered in iOS 9.3 which failed to activate some older iPhone and iPad models after they were updated to the latest firmware version. Apple acknowledged the problem and subsequently released an updated build of iOS 9.3 for iPad 2 users with fix for activation issue in place. 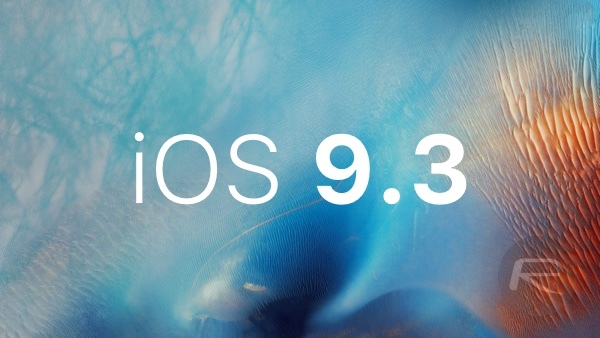 Apple is yet to release the updated build of iOS 9.3 for all affected models. Since the exact cause of this latest bug isn’t known yet, we don’t know if Apple will release a minor firmware update to fix the issue or if they will fix it by making some changes in the backend to how links are handled in iOS. Whatever the case maybe, we will update you guys whenever Apple releases an official statement on this issue. Stay tuned! I had this problem yesterday on 13d20 9.2.1 on a 6s plus. Hard resets, closing apps etc didn’t help. Downloaded chrome and Firefox and same problem. I got so annoyed by it I downloaded 13d15 9.2.1 and dfu restored and no problems yet. P.S. Why it so hard for Apple to FIX the copy and paste problem that has plagued every iOS and every phone since ios6?!?!?! Are people having issues because their doing an OTA update or happens to iTunes Updating as well? I never use OTA updates because A) I jailbreak but when I do B) it’s the cleaner way of updating iOS, erasing everything, reinstalling the OS as fresh and then restore backup. Less issues I find compared to OTA installers. Please go away! We don’t want you here. Yes, I mean “WE” and most of us knows you and you are annoying. GO AWAY! Could you please share the download links of the builds? I’m having the same problem on my 6s plus running 9.3.. I had one app crashed and freezes so I deleted that app and downloading it again and it resolved the problem. I don’t have a problem with safari but I don’t used it much, thought. Who knows. Good point. Only we have a power over Apple and tell them to do something or we can leave them for other smart phones. Thats only way to give them more attention and more concern than worrying about their money over us! Cyrus tweaks won’t fix the problem. God you really don’t understand how any of this works, do you? I did mine OTA and I do have the freezing/crashing bug. I’ll be doing a complete restore at the end of the week. But I don’t JB anymore so I shouldn’t have to restore. This is just a sloppy update. Shame on Apple. I have updates to iOS 9.3 from iOS 9.3 beta 7 both an iPhone 6s Plus and iPad Mini 1 using OTA. No problems with Safari or any other app.